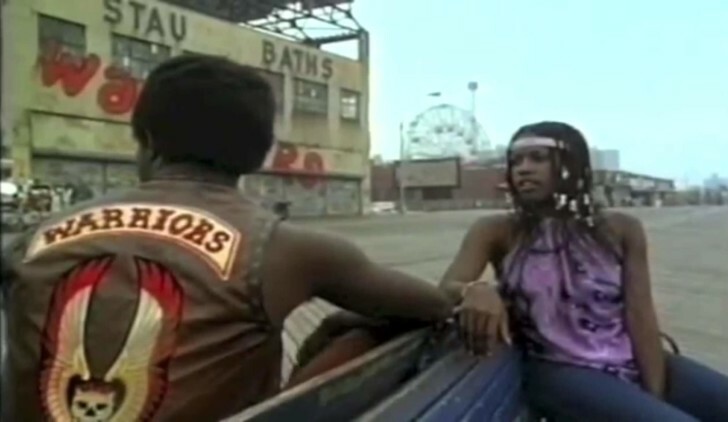 7 known deleted scenes did not make it into the theatrical version or Ultimate Director’s Cut of The Warriors. They are however shown in some edited versions of the movie for TV. 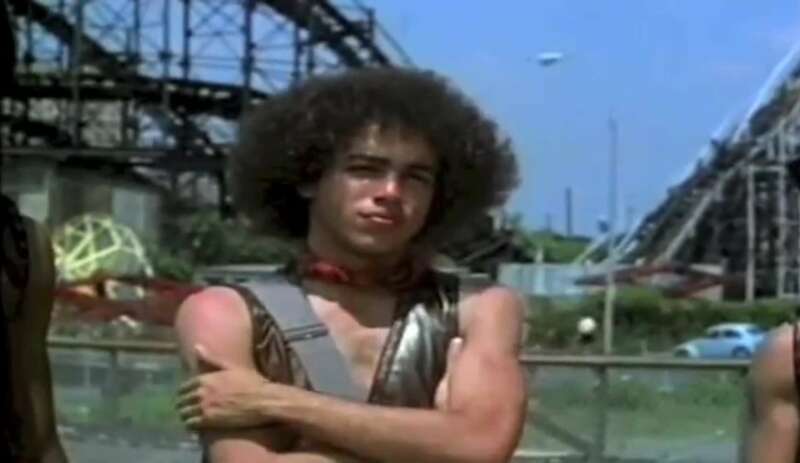 Learn more about the deleted scenes below or check out the video below which shows all 7 of The Warriors deleted scenes in full. 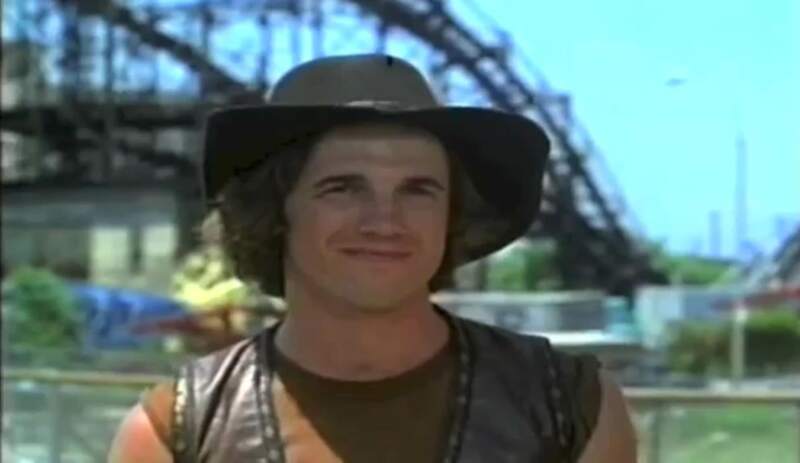 This deleted scene shows a completely different start to the movie at Coney Island. It takes place the afternoon before The Warriors head off to The Bronx. Cleon chats to his girlfriend who warns him not to go to the meeting. It also shows Cleon introducing the 8 delegates (chosen from 120+) and why he chose them. They all then walk off to the meeting down the boardwalk at Coney. There is also an additional conversation between Ajax and Swan in the subway. This scene was deleted by the producers as they felt the only daytime scene should be at the end of the movie after a night of terror. Day time. 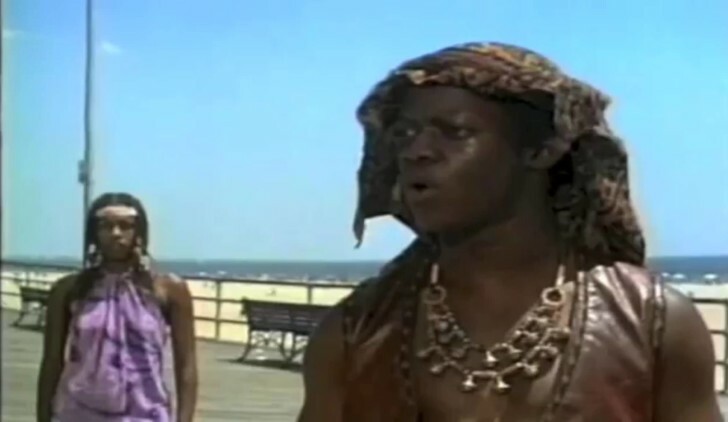 Cleon’s girlfriend walks over to Cleon who is sitting on a bench. As the camera follows her, we see Coney Island and the wall of the bath house which has ‘Warriors’ painted on it. Cleon – What are you doing here? Cleon’s Girlfriend – I came to say goodbye. Cleon’s Girlfriend – I don’t like it Cleon. Cleon – You don’t like what? Cleon’s Girlfriend – Going up to this meeting. 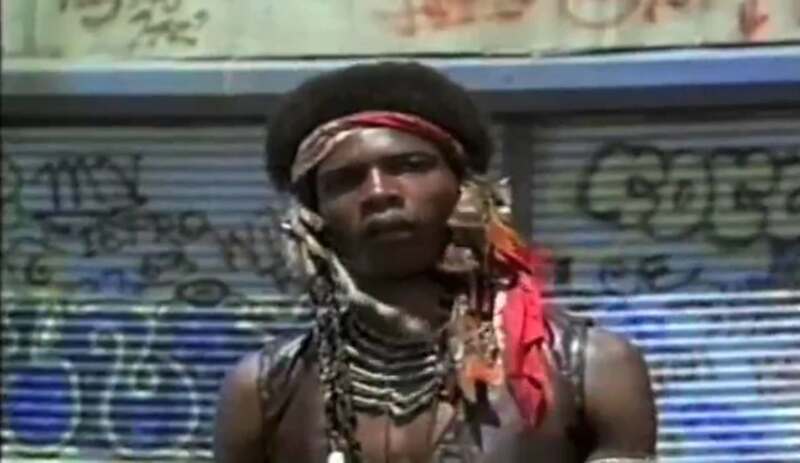 Cleon – You ain’t going so don’t worry about it. Cleon’s Girlfriend – I’m worried about you going. I’ve gotta feeling. I don’t want you getting messed up in something heavy way up in The Bronx. You have never even been up there. Cleon puts on his head scarf. Cleon – This conclave is gonna be big. It’s gonna be a big item. 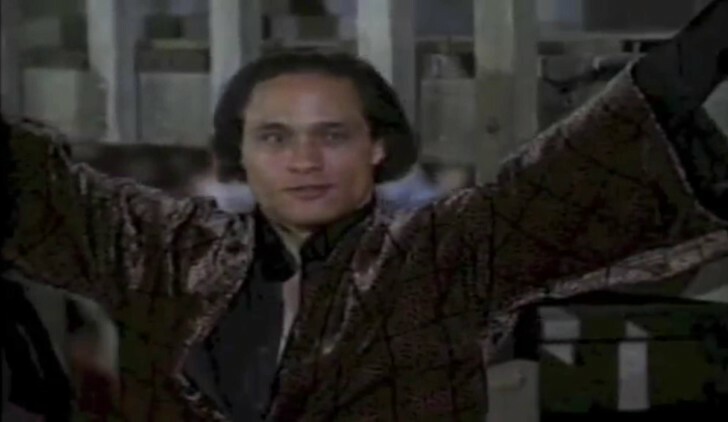 Cut to next scene – Cleon is now standing and addressing the other Warriors. Cleon – I know a lot of you aren’t too happy about going out on patrol. Just remember this. Out of a street family of 120 plus affiliates, you were chosen for this expedition and that makes you special. Now here’s the lineup. As Cleon reads his choices, the camera focuses on each of them. Cleon – Swan, second in command, war chief, stay by me. Snowball, you’re the music man. Cowboy, soldier the middle. Vermin, you’re the bearer, carries the tokens and the bread. Rembrandt, got the stuff? Rembrandt produces a spray can. Cleon – Now I want you to hit everything in the city. I want the people to know that the Warriors were there. Ajax – That’ll just slow us down. Cleon – Ajax, you just soldier, and try and keep your mouth shut. Fox, scout and memory man, run ahead and tell us all we need to know. Cochise, Ajax, soldier the middle, heavy muscle. Now just remember this. There’s a truce on, so don’t go flexing any muscle unless I give the order. Shots of Ajax who seems displeased. Cleon – Okay? Let’s roll. 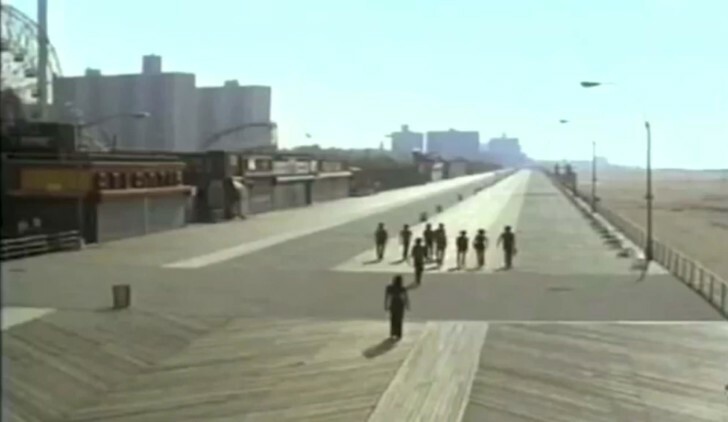 Rumble by Link Wray plays as The Warriors walk up the boardwalk into the distance on a sunny afternoon. Cleon walks behind everyone else. Cleon’s girlfriend then follows behind Cleon. Scene cuts to the subway and Swan is talking to Ajax. Swan – What’s bugging you? You got a problem? Ajax – Yeah I got a problem. I don’t like what we’re getting into. This whole thing stinks. Swan – We’re going in there just like all the other guys. Ajax – Just because some jerk named Cyrus wants some conclave and a truce, doesn’t mean that it’s a good thing. I’m sick of hearing about Cyrus. Swan – You listen, that’s the way it’s going to be. And you’re going to soldier just like everybody else. Ajax – Sure thing warlord. Scene cuts to normal opening of the film which shows the Wonder Wheel at night. 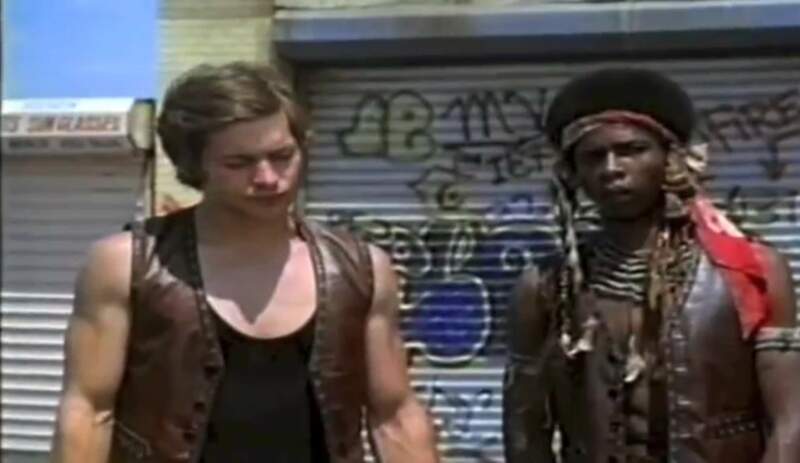 Straight after the normal subway introduction there is some footage of The Warriors trying to find the meeting in the park. Some of The Warriors, including Ajax insist that it is a set up and Cleon keeps telling them to shut up and that they are going the right way. Part of the speech by Cyrus was cut. Cyrus talks about being shucked by the youth board and about people who call themselves your friends. He specifically mentions the youth board and that you should not follow what they say else you will go junkie and get busted. After the leader of the Gramercy Riffs is told that the Turnbull AC’s blew it, there is a shot of the DJ with a news flash that the Turnbull AC’s missed their target. The music in the background is the same as that played when The Warriors arrive back in Coney. 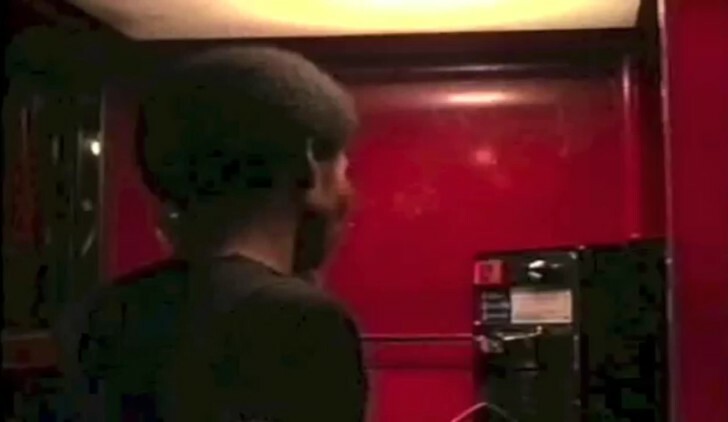 After the DJ announces on that the Baseball Furies dropped the ball there is a scene that shows one of The Riffs hanging up a telephone and reporting to Masai that the Police from the 96th station failed to catch The Warriors. Masai then asks about the Baseball Furies to which there is a reply that “they missed too”. 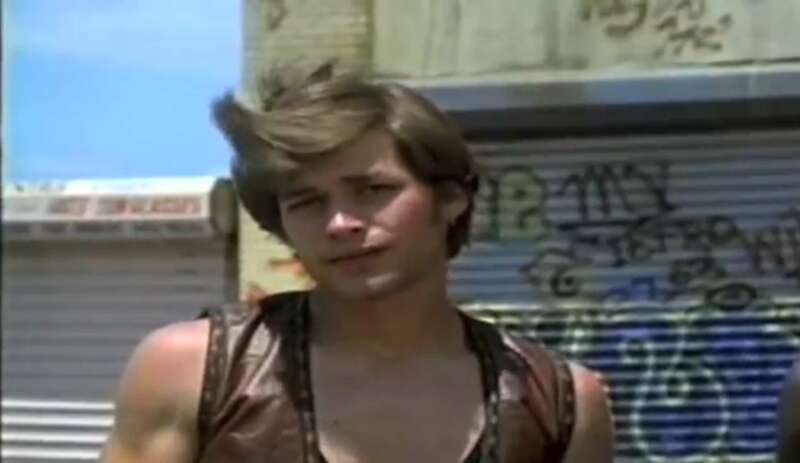 Before the bathroom scene, Swan finds out about about Ajax and feels responsible and looks concerned. There is also some dialogue from Snow and Cowboy. 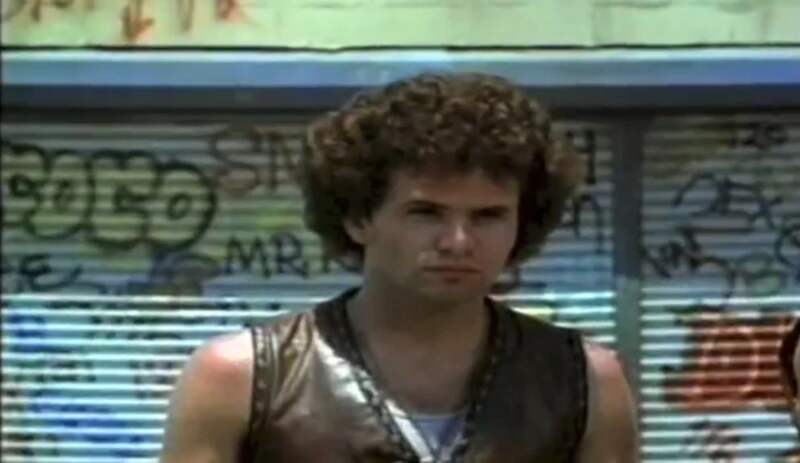 Swan nods his head to indicate to the rest of the gang that they should go into the bathroom and then it goes to the same scene where Mercy complains that she cannot go into a men’s room. 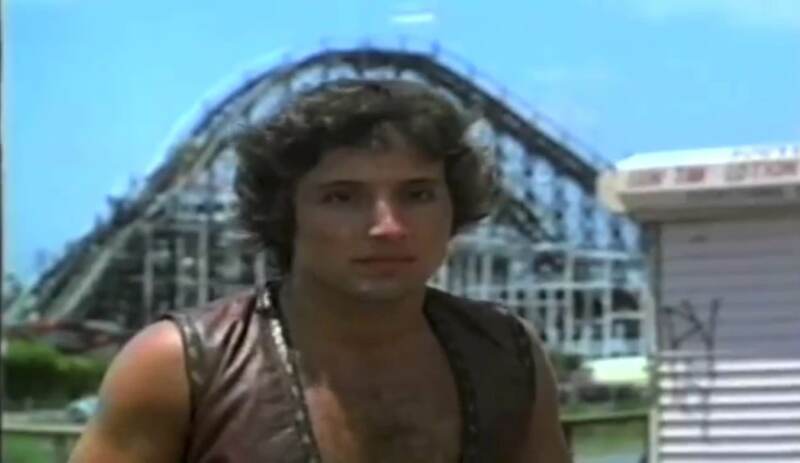 When The Rogues follow The Warriors in their car at Coney Island we see The Warriors run under a pier. 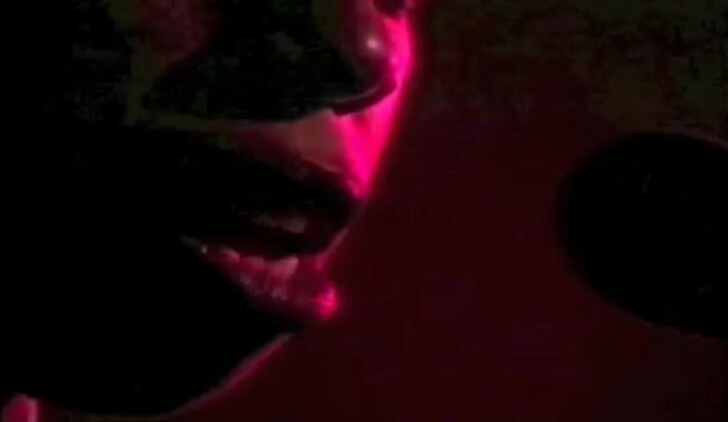 In this scene, Swan mentions that they have one “bop left to go” and Vermin suggests that they just run. 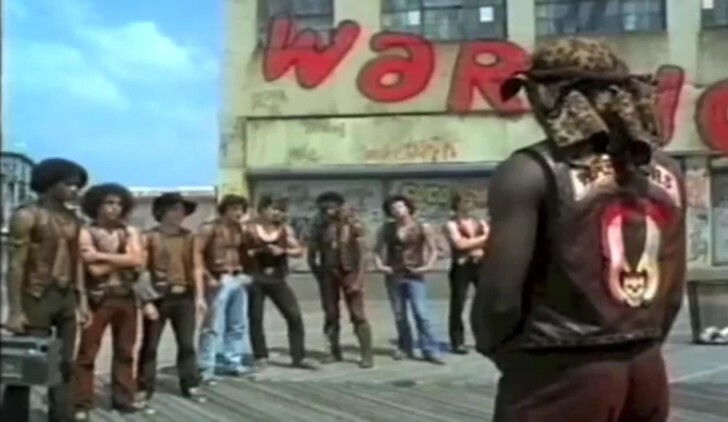 It then cuts back to the regular scene of The Warriors walking underneath the pier.